Open to students in grades 9-12, GWA Gavel Club is a high school version of Toastmasters International. Once a month, students and faculty/parent sponsors gather at the Monroe Country Club for an evening of dinner, speeches, and fun. Every meeting brings different speech topics, and members become comfortable with giving speeches and evaluating others’ speeches as well. Awards are given for best speech and best speech evaluator each month. Gavel members who deliver 10 speeches by the end of their senior year receive the rank of “Competent Toastmaster” and receive a pin and special graduation recognition. Click here to express interest or request additional information. Gavel Club has been a longstanding tradition at GWA which continually benefits its participants during their time in Upper School and beyond. Countless alumni have provided feedback over the years saying that this club helped them the most with preparation for college and for life. 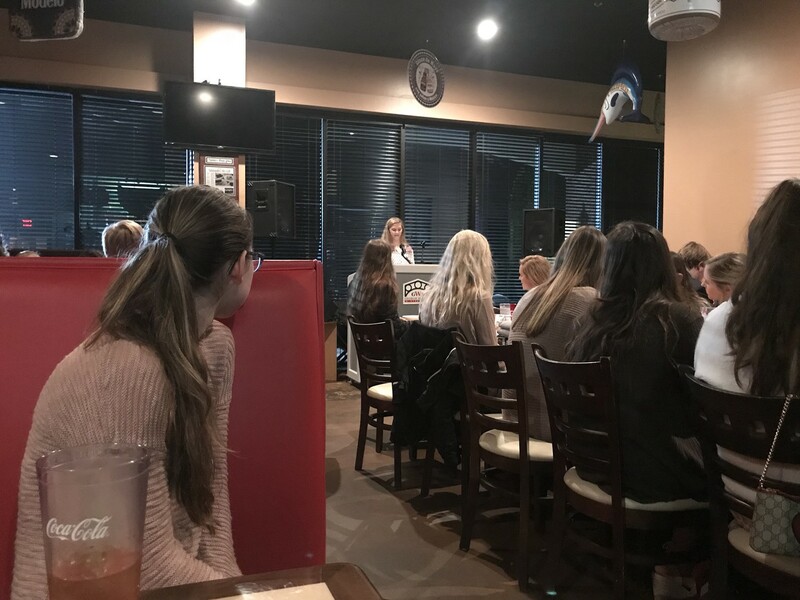 The club focuses on public speaking, giving students the opportunity to present speeches throughout the year in the presence of both their peers and their mentors. When asked how she benefitted from participating, former Gavel Club president and current Georgia Tech freshman, Reese Howard said, “Gavel Club was my favorite club at GWA. As a freshman, I listened to several outstanding speeches from upperclassmen. By the time I was a senior, I knew the elements to deliver a great speech. This public speaking experience has helped my verbal communication skills immensely. I speak publicly on a daily basis - from leading campus tours to giving presentations. I am grateful for the opportunity I had to actively participate in the GWA Gavel Club." Learn more about Gavel Clubs and Toastmasters International.